My most essential piece of software as a photographer is Adobe Lightroom. It’s one of those things you salivate for when you hear an update is coming. 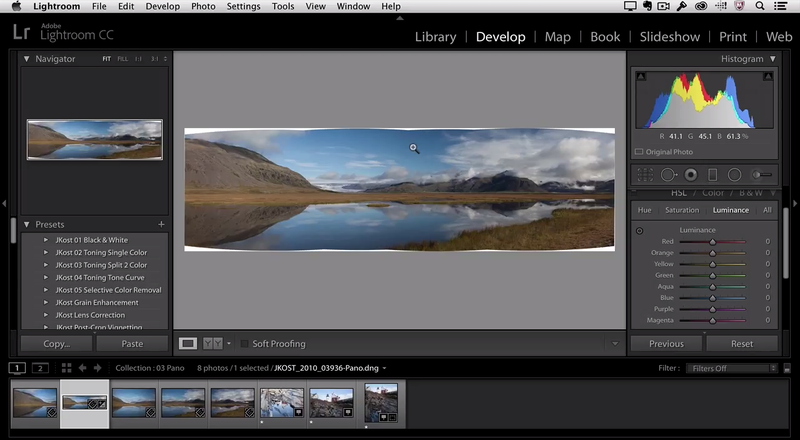 Such an update is upon us with Lightroom CC, but the new features still leave me thirsty. The shiny new tools Adobe is including in Lightroom CC include HDR (high dynamic range) automation for combing the exposure values of a series of image into one adjustable raw DNG file. There’s also a similar feature for panoramas, which are stitched together automatically from a series you shot. These features have been around for ages in other software forms, and are very useful for a small group of people who do this type of photograph. But for the rest of us, don’t expect a whole lot of newness from Lightroom CC. Also on the docket is the ability to brush away parts of a graduated or radial filter for better control over localized adjustments, as well as Ken Burns style effects for slideshows. Just like iPhoto! Lightroom is great in many ways, but some of its interface and workflow elements are beguiling, and beg to be rethought. I for one would love to say goodbye to the outmoded “modules” that separate Library and Develop functionality pointlessly. For how much Adobe claims to pay attention to feedback from users, you’d think that interface and usability would be the first things to be improved. Instead you get things like facial recognition and sorting of your cataloged photos, which may be useful for a small percentage of users, but seems suited more for iPhoto than a professional application, and may not be totally reliable. We don’t know yet when exactly Lightroom CC is going to be available, but you’ll be able to grab it as part of either Adobe’s Photography Program at $10 per month, complete Creative Cloud Program for $50 per month, or standalone for $150.